Two things are driving the new subscription business model: The younger generation's preference for subscribing to or renting things instead of owning them, and our disposition as a species to always have the best or latest versions of products. You must have heard of the service economy — or, at a minimum, heard of paradigms such as "everything as a service." You can argue that the service economy consists of services (well, what else?) provided either as stand-alone or as add-ons to products. Providing services is not new. GE “servicing” the warranty on my air conditioner is anything but new. Me paying for a dry cleaning service is not new. Even hiring a taxi (wait, an Uber) as a service provider, not new. So in the last two decades, what was/is so new about services that we needed to coin the phrase "the service economy"? Quite a bit, all mostly driven by digital communication channels such as email, videoconferencing and peer-to-peer information exchange. Completely outsourced managed services, for example, was fueled by digitization and, hence, global outsourcing, digital services such as eBay and Craigslist to connect buyers and sellers, and new services such as GoDaddy’s fully hosted solution for websites and emails are all services mostly driven by digital. Three things are key to the service economy: You pay a variable price for only what you use, you trust someone who does not really know you to solve a problem you can't solve for yourself, and the center of the innovation is a service (many times digital) made or owned by the service business. Two things are driving a new type of business called a subscription business: The growing preference of the younger generation to subscribe to or rent things instead of owning them, and our general disposition as a species to always have the best or latest versions of products. You can subscribe to shave clubs, Amazon Prime or services that send you a meal a day. You can subscribe to bi-weekly deliveries of groceries, monthly deliveries of new interesting wines — even regular deliveries of socks. Lately, I am of the feeling that I can subscribe to just about anything. Apple’s iPhone upgrade plan is “phone as a subscription.” I would subscribe to a mobile phone. In the past, we have subscribed to magazines or professional associations. Today, I have subscriptions with a music streaming service, a shipping company, a grocery delivery company and a cool sock company. Yep, I take the sock game seriously. Three things are key in the subscription economy: You pay a fixed price for things regardless of whether you use them or not, you entrust someone who really knows you to solve a problem you could solve for yourself, and a real product is at the center of the innovation — a product that may or may not be made by the subscription business. 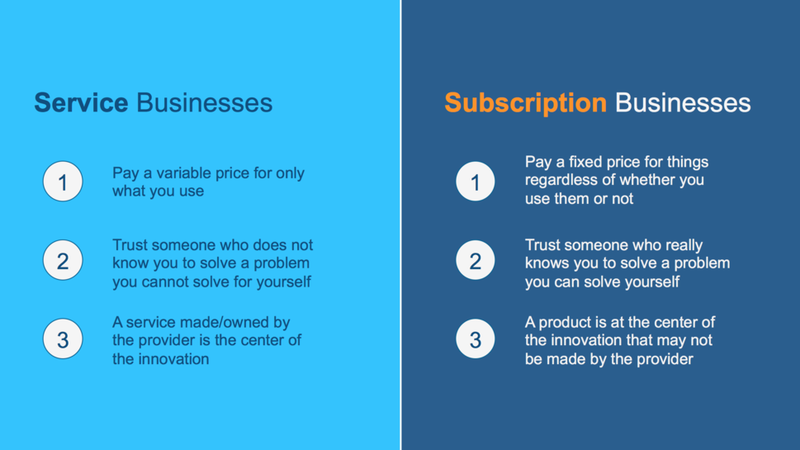 The challenge of building successful subscription businesses requires three specific focus areas. Pricing: You need to think about pricing very carefully, deeply and from a long-term perspective. Netflix almost crashed when it changed its monthly subscription fee. 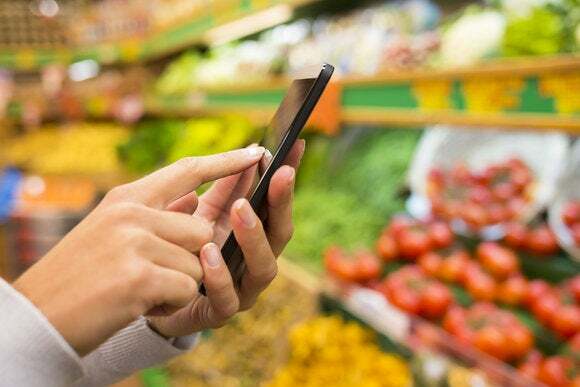 When customers decide to subscribe to a solution to a problem, they are likely to expect their recurring subscription fees to stay fixed, rather than accepting rising prices. Customers: In order to deliver products and/or experiences that delight customers, you must study and know your customers extremely well. Subscription companies focus fanatically the customer, and the way that customer evolves through the journey/life cycle of the subscription/relationship. Partnerships: When customers subscribe to your service — and entrust you to solve a problem (that they could potentially solve for themselves) — they expect you to deliver the best solution to the problem, regardless of whether you manufacture the solution or are reselling it from a partner. Are you a product company, a service company or a subscription company? And is there a subscription company chomping at the bit to dis-intermediate (or worse, disrupt) you? Richie Etwaru is chief digital officer at IMS Health. He believes that every aspect of the world is accelerating and, as a result, we are required to envision the world faster and faster, or be crushed by change. That belief has driven him to dedicate his adult life thus far to helping others navigate the approaching future by fearlessly sharing his ideas to inspire action.